New York City is a magical city that is famous for its energy, skyscrapers and amazing buildings. Needless to say, there is so much to do and see while in the city, but it makes it even more special when you know the history and the why of some of its most iconic buildings. So for the next time you head over to NYC, follow this guide to understand and really see what is amongst the infamous New York City skyline. 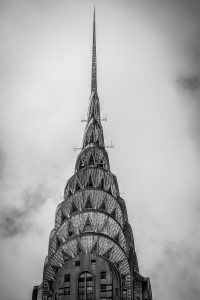 The Chrysler Building is an Art-Deco building with a very interesting history and considered one of NYC’s most iconic sites to see. It has 77 floors, 32 elevators, and stands at 1,046 feet tall. Visitors can enter the lobby to see mural on the ceiling and NYC’s first digital clock. If you ask almost anyone what they think of when they think of iconic buildings in NYC or even in the world, many will say the Empire State Building. The Empire State Building is an Art-Deco tower that stands at 1,454 feet in Midtown Manhattan. In a poll conducted by the American Institute of Architects, it was even named “America’s Favorite Architecture”. For those who do not even live in NYC, the One World Trade Center is a well-known and incredible building. It is the main building of the rebuilt World Trade Center. 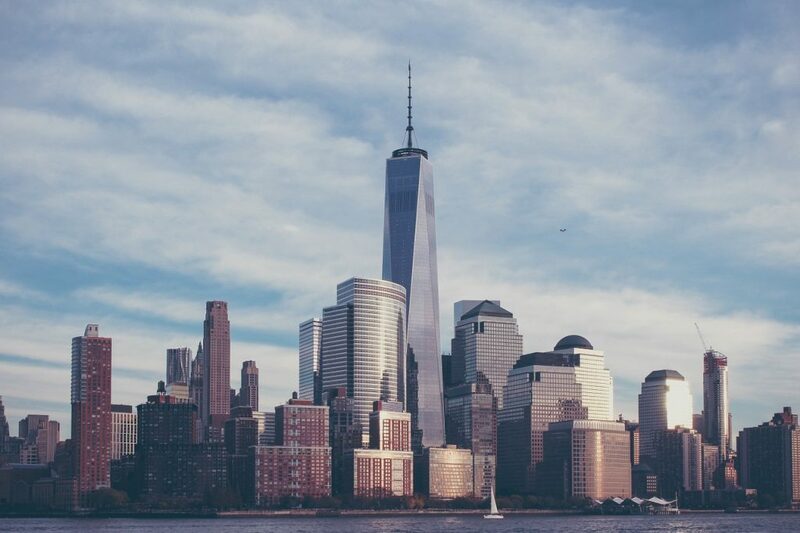 The One World Trade Center is the 6th tallest building in the world, standing at 1,776 feet tall (to honor the year of the American Declaration of Independence). If you visit this building while in NYC, know that it is possible to go up to the observation deck! 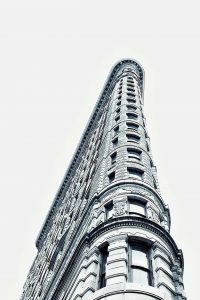 The Flatiron Building has long been a building in New York to see and talk about. Its unique shape actually does resemble a flat cast clothing iron, with its 21 floors stretching upwards on a triangular shaped area. It was built in 1902 and has stood tall longer than was ever expected. Today it is safe to say that it truly is an iconic landmark. The 30 Rockefeller Center is officially named the GE Building and is part of John D. Rockefeller’s Rockefeller Center. It has been home to NBC Studios since 1993. Located in the Turtle Bay neighborhood of Manhattan, the United Nations Headquarters Building in NYC is a complex that certainly makes a statement. Designed by a number of architects led by Wallace Harrison and built by architectural firm Harrison & Abramovitz, it was completed in 1952. The ICA Building, built by architect Frank Gehry, is home to InterActiveCorp headquarters. InterActiveCorp is a holding company founded by billionaire Barry Diller. The ICA Building is iconic and pure Gehry, with the structure taking a shape you don’t quite expect. It has glass printed with ceramic dots on the exterior, which makes it feel like there is movement as the building stands still. It is hard to compile a complete list here, as New York City is a full of beautiful buildings and is constantly adding new constructions to its skyline. But here are 7 amazing and iconic buildings in NYC that you will want to know about and visit!